Nothing is quite like a northern Midwest winter. Not only is the snow and ice constantly pelting us, but the frigid conditions make us want to hide in our warm blankets until the dawn of spring. While we can hide away from the cold in our homes, our driveways and parking lots are unfortunately destined to bear the conditions without as much as a warm cup of soup to help them through the winter. 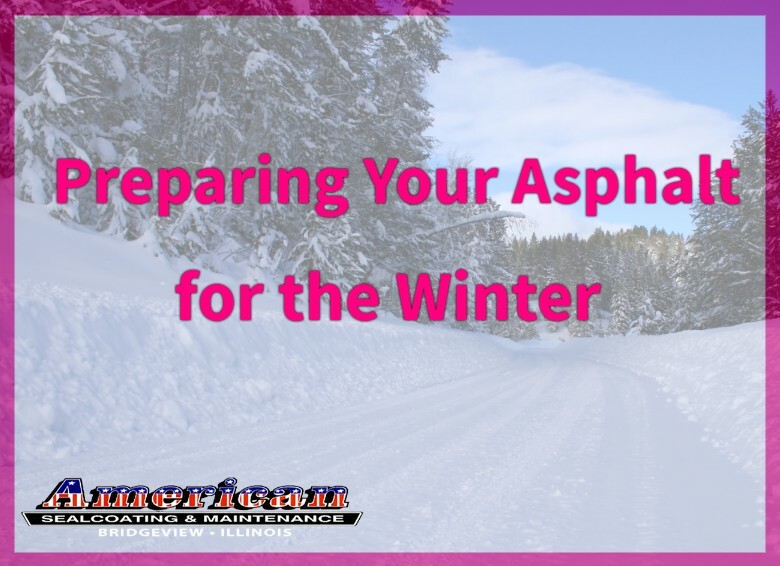 While we can’t bring our asphalt indoors every time a storm comes upon the horizon, we can take some steps to protect it from the damaging effects of winter. Here are a few things that you can do this fall to prepare your driveways and lots for the season! Things like oil and water can damage the surface of the asphalt, leaving it vulnerable to the even more damaging winter conditions, like snow and ice. When you notice an oil spill, clean it up with some dawn soap and water before it can make damages. Additionally, if you notice that your lot is particularly muddy, try to wash away the mud. American Sealcoating & Maintenance also recommends sweeping it every so often, as rocks and gravel can also cause wear to the asphalt. Trust us, the last thing you want to be doing is worrying about crack and pothole repair during the winter. Now is the time to get your asphalt repair done with. 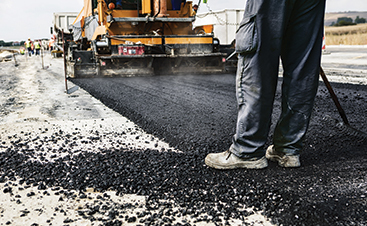 Not only is asphalt patching simply easier during the warmer months, but the winter can actually worsen the damage, making it an even more expensive repair in the spring. If you notice cracks and potholes, have them repaired before the colder months. Luckily, American Sealcoating & Maintenance offers competitive pricing for crack repair, so that you can have your asphalt patched without breaking the bank. Water can erode your asphalt faster than you can call for asphalt repair. That’s why there are drains put in place! However, when said drains aren’t working, then your parking lot is especially vulnerable. It’s always important to check and maintain the drains to make sure water is flowing into them and not pooling in the lot. Before winter, make sure to check the drains to make sure that they are functioning. When the snow melts, you don’t want the excess water to be sitting on the lot. 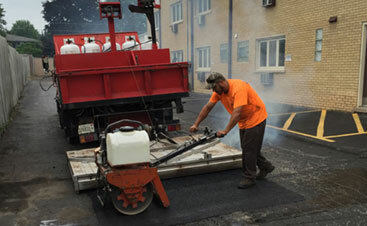 We’ve said it before and we’ll say it again: sealcoat your asphalt! This offers ultimate protection from the elements. If you haven’t already noticed, sealcoating is in our name, and we can surely assist you with sealcoating your blacktop before the winter comes! 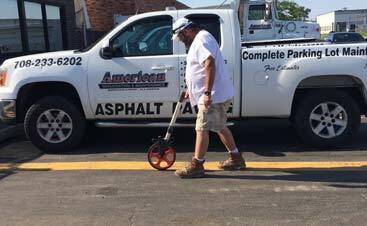 For asphalt repair, paving, sealcoating, and more, contact American Sealcoating & Maintenance. We have the tools to help you protect your driveway or lot from the damaging effects of winter. Thanks for reading and we hope to hear from you soon! In the meantime, be sure to check out our gallery to see what our sealcoating company in Bridgeview is capable of.